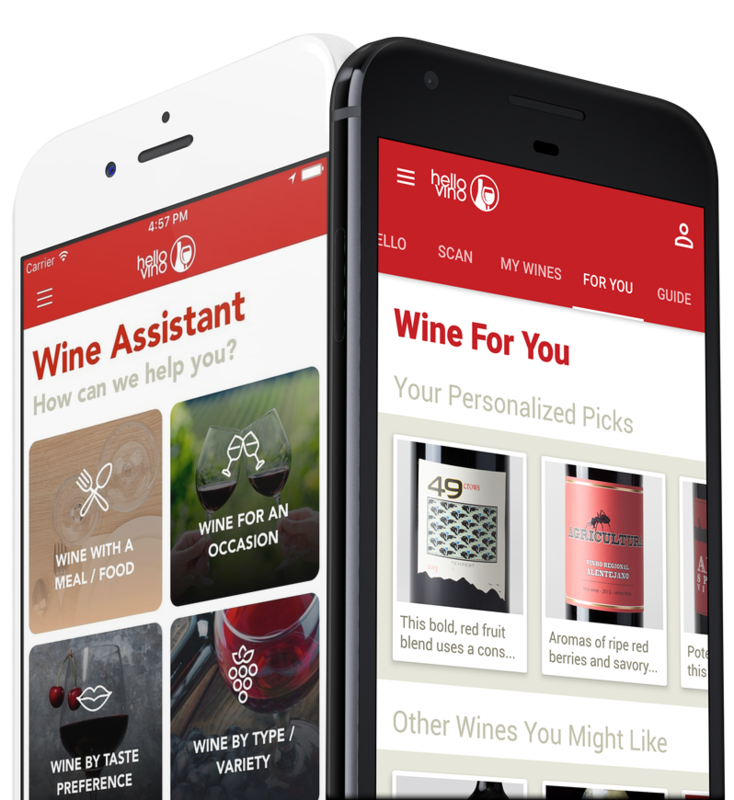 Hello Vino is your virtual wine assistant. Buying wine is fun and easy with Hello Vino's recommendations for food and wine pairings, special occasions and personalized wine picks based on your taste preferences. Choose your wine buying occasion (dinner, party gift, etc. ), and Hello Vino will recommend the perfect bottle. Tap into Hello Vino's incredible database of food and wine pairings to get the best wine for every meal. Scan wines, save personal notes and save ratings to remember all of your favorites. 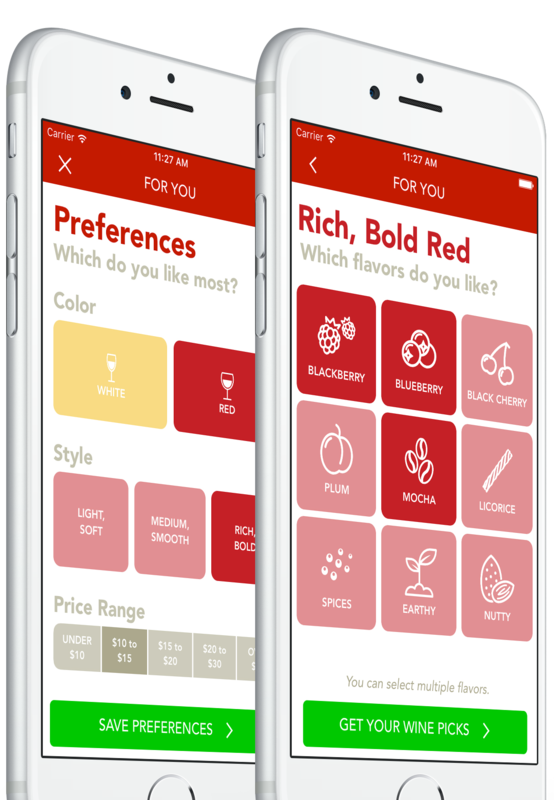 Set your taste preferences (ex: red wine, fruity, cherry flavors) to get wine picks just for you. 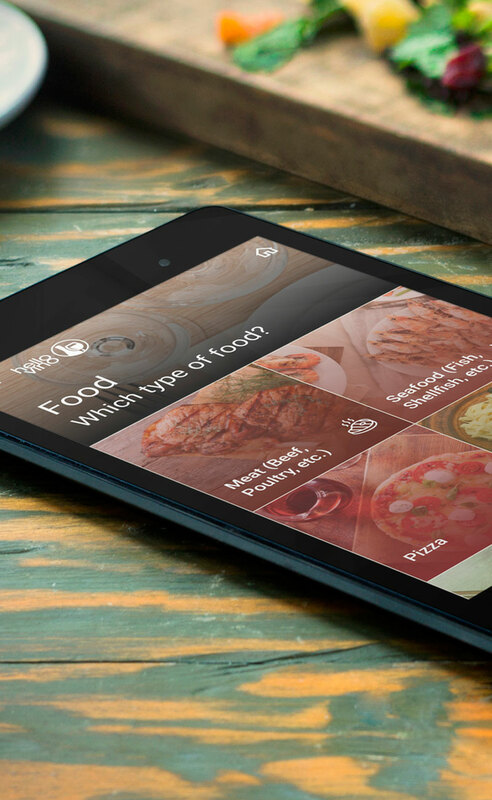 The Hello Vino app uses artificial intelligence to learn about your wine preferences. 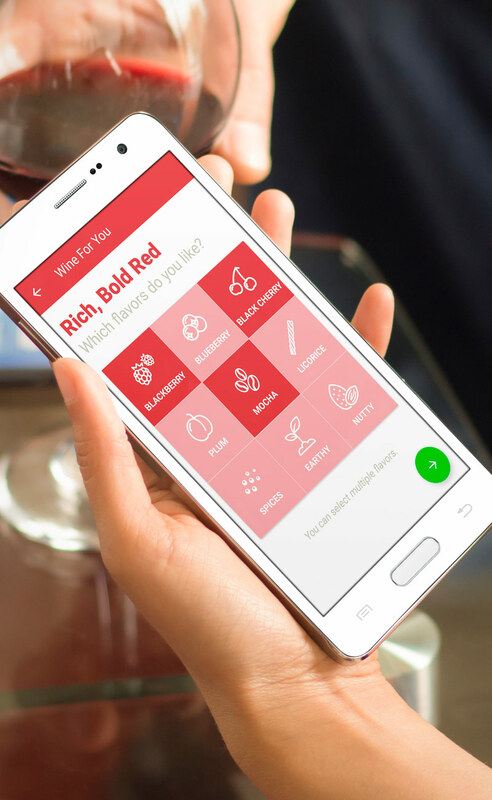 As you tap through the choices, scan wine labels and rate your favorites, the app will make new wine recommendations based on your activity and settings. The first truly personalized wine subscription service. Wines for thousands of meals, special occasions, and flavor profiles. 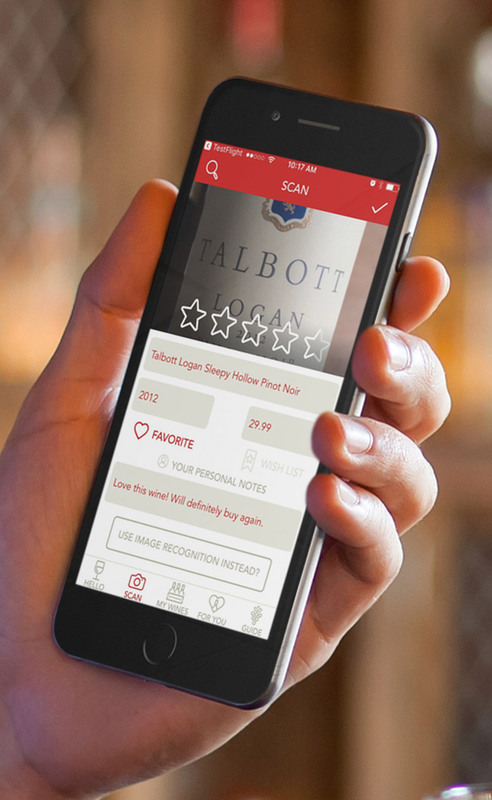 Scan wines, save notes and ratings to remember all of your favorites. Get personalized wine picks according to your specific taste preferences. © Hello Vino, Inc. All rights reserved.